Stop me if you’ve heard this one before: The U.S. is committing itself to a long-term stabilization mission in a chronically unstable country. The mission involves training and equipping the local government forces to fight against jihadi insurgents and won’t end until those local forces are capable of fighting on their own. Unfortunately, recruitment is low and the training is slow going, in part because the local U.S.-backed government is weak and commands little public support. Under the pretext of fighting international terrorism, the U.S. is taking on a group that poses little direct threat to the United States, is being drawn into local conflicts unrelated to its ostensible mission, and risks creating more radicalization through civilian casualties. It could be Iraq or Afghanistan (or substitute communist for jihadi and it could be any number of Cold War proxy conflicts), but in this case it’s Somalia. As I wrote in March, the U.S. military mission in Somalia has expanded dramatically since Trump took office and declared the Horn of Africa nation an “area of active hostilities.” This has included a sharp uptick in drone strikes and special forces raids against the militant group al-Shabaab. Until recently, the Pentagon had claimed, remarkably, that no civilians had been killed in these strikes. On April 5, shortly after the release of an Amnesty International report that investigated five of the dozens of strikes and found evidence of 14 civilian deaths, the military finally acknowledged having caused just two. 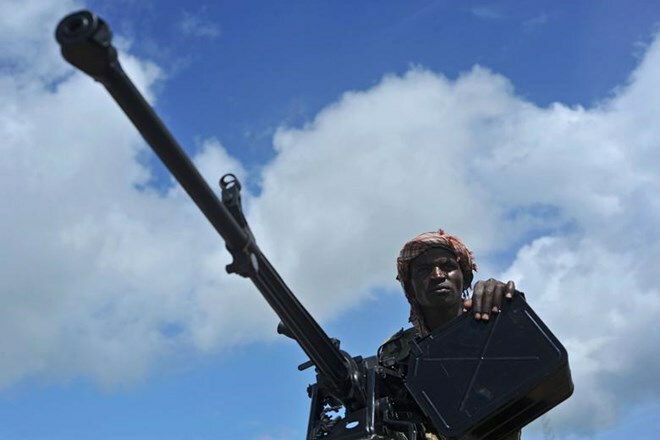 There have also been reports that Somali officials have used the threat of al-Shabaab—which is nominally affiliated with al-Qaida—to draw U.S. firepower into local conflicts over land and clan rivalries. Nearly two decades into the war on terror, critics of U.S. military intervention are accustomed to treating missions like this with skepticism. But in this case, the bigger question is, why isn’t the president more skeptical? There’s an inherent contradiction in Trump’s worldview between his isolationist instincts and his commitment to standing out of the military’s way and letting the generals do what they think necessary—unlike the Obama administration’s approach, which he believes was burdensome and legalistic. Left to its own devices, the Pentagon tends to want more troops, more resources, and expanded missions. The fight against al-Shabaab in Somalia has gotten far less attention from media and lawmakers than the fight against ISIS in Syria, and perhaps consequently, Trump appears to have taken little notice of it. And so, the war continues to expand with vague goals, no clear path to victory, and little to no pushback in Washington.